The Landlord Energy Saving Allowance (LESA) is an easy and green way for property investors to save cash. LESA let’s landlords claim back £1,500 in energy efficiency improvements in each tax year on every letting property they own. 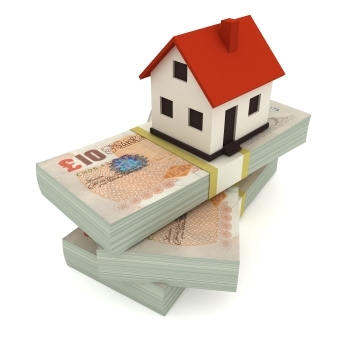 To maximise the savings, phase the improvements across more than one tax year if the cost exceeds £1,500 per property. For instance, you could insulate the loft and upgrade the boiler in March, while putting off cavity wall insulation to after April 6. This way, the costs fall in two tax years, giving the chance to claim up to £1,500 in both years. No rule stops a homeowner moving out and letting their former home while upgrading under LESA, and then moving back in later. HM Revenue and Customs closes LESA on April 5, 2015 – so planning and claiming the work needs to start sooner rather than later. In simple terms, HMRC refunds up to £1,500 in tax per rental property where energy efficiency improvements are carried out. Which energy efficiency improvements qualify? Does LESA cover letting property overseas? Yes, as long as the owners pay tax in Britain on rental profits. Holiday homes are excluded. What if I own several buy to lets? The number of properties in a portfolio does not matter. Each property home and abroad has an individual £1,500 LESA allowance in the tax year and the total is not split between them. Shared houses in multiple occupation (HMOs) are also included in LESA, as are blocks of flats. A block with eight flats can claim 8 x £1,500 a year as each flat has an allowance. What if I jointly own the property? LESA is apportioned in one of two ways on jointly owned homes. Either you claim the allowance in the ratio of each owner’s cash input into the qualifying work ie you put in £1,000 and your partner puts in £500, so that’s how much you each claim. Or you split LESA according to your percentage ownership of the property ie 50:50, 60:40 or whatever it may be. Can I claim for carrying out the work myself? No. If you upgrade the property as a DIY job, you can claim for the materials but not your time. What is the LESA small print? LESA comes with some exclusions – for instance, if you live in the property and have a lodger, you cannot claim the landlord energy saving allowance under the Rent a Room Scheme. If you are carrying out the work prior to first letting, LESA can only be claimed if the money was spent no more than six months before the date the first tenancy agreement starts, unlike other pre-letting expenses that go back up to seven years. This entry was posted in Property Maintenance, Property Management and tagged landlord energy saving allowance (LESA) by Simon Thompson. Bookmark the permalink.